It was a crystal clear June day in the ski town of Telluride, Colorado. There was not a cloud in the sky and not a care in the world for Lauren and Cole. This day, all they had to focus on was each other and their commitment to love each other forever and always. Surround by all who loved them, they did just that. The vows were exchanged at St. Patrick’s Catholic Church, nestled below the towering mountain peaks in downtown Telluride. 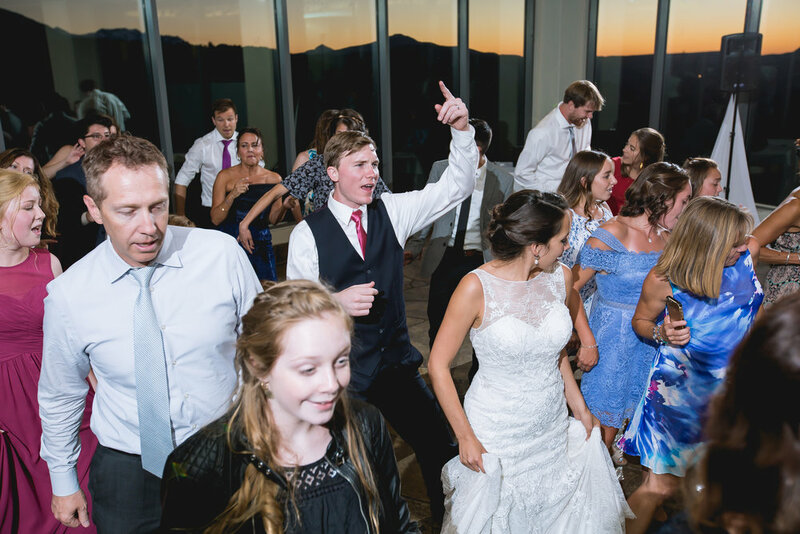 After a romantic gondola ride to a scenic overlook, Lauren and Cole danced the night away with some very enthusiastic guests at The Peaks Resort. But, like all couples, Lauren and Cole’s story doesn’t start here. For that we have to go back to the beginning - when both Cole and Lauren were students at the University of Texas. Cole, fresh out of ACL surgery, hobbled into his office to find his future wife sitting in his office chair, speaking with a mutual friend. I think we can all assume Cole was smitten from that day on. Fast-forward to a romantic getaway at Cole's most cherished spot in the world, Alta Ski Resort in Utah. They awoke early to hike and catch the sun coming up over the mountains. There, at their destination and as the sun began to peek its head out over the ridgeline, Cole began to recite a poem he had wrote about that exact spot. Lauren loved that poem. But as Cole recited those lines, he started add in some lines Lauren hadn’t heard before. Cole had managed to sneak in the most romantic proposal a girl could ever dream of. And just like that sunrise was meant for no other mountain top that morning; Lauren and Cole were meant for no other soul. The bride and bridesmaid's bouquets form Willowcreek Floral went perfectly with the understated and elegant mountain theme. The guys walking to the church in downtown Telluride looking very dapper. Cole could hardly contain himself before the wedding. Lauren struggled a bit with Cole's ring and the church filled with sweet giggles. Lauren was the most radiant bride. The bride and groom took some peaceful time out for some quiet photos on the Telluride River Trail. Sweet nothings between the bride and groom in the Telluride Gondola, on the way to Mountain Village. The groom really knew how to work the camera. The father of the bride gave Cole a little bit of a hard time for laughs. The rest of his toast was so wonderful and moving. The first dance was a wonderfully exicuted Waltz. Grandma during the La Marcha.